A common question we are asked is, “When should I buy travel insurance?” Our customers know a plan is important but aren’t sure of the “travel insurance sweet spot”. Do they purchase before a trip is booked? The same day it's scheduled? After the trip is paid off? Before or after they depart? After your first trip payment is made. If you want to purchase a comprehensive plan to cover trip cancellation, we recommend you do it after making at least one payment towards your trip, but some plans require you to have already put money down. You will want to have a good grasp of your total expected trip cost. This will allow you to get the most accurate quote for the right travel insurance plan. As close to that first payment as possible. If you need coverage for a pre-existing medical condition or are interested in optional Cancel for Any Reason coverage, you should be aware that both of these have time-sensitive eligibility requirements tied to your initial trip payment (among other requirements). In other words, once you’ve paid for a part of the trip (whether it’s airfare, accommodations or a down payment for a cruise) you have a limited amount of time to buy a plan to access these benefits. Prior to when the plan is needed. 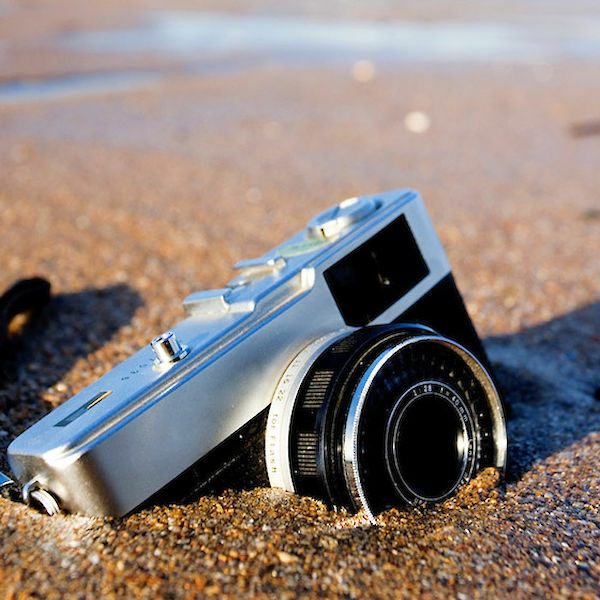 You must purchase travel insurance coverage before it is needed. Some travel medical plans are available for purchase after you have departed, but comprehensive plans that include medical coverage must be purchased before departing. However, you can’t buy any medical coverage once you recognize a need for medical attention. The same applies to all travel insurance coverage. Once you recognize the need, it is too late to protect your trip. So, in reviewing the three rules, you may still be a little confused on that “travel insurance sweet spot.” We tell travelers to prepare early. As soon as you book and make an initial payment on your trip, start comparing travel insurance plans. While some plans only offering post-departure benefits can be purchased last minute (single-trip travel medical, evacuation memberships or Accidental Death & Dismemberment plans), we advise not to wait when considering plans with pre-departure benefits (comprehensive plans and travel visa plans). Only a few travel insurance companies on InsureMyTrip offer plans that cover medical emergencies and evacuation as well as cancellation, delay, and baggage. Some companies offer cancellation-only plans as well. All plans available on InsureMyTrip must be purchased before you leave Canada, you cannot purchase any of these plans once you have departed. Importantly, you cannot purchase coverage for only a portion of your trip; you must fully insure it. If you do not, then the plan would be considered invalid and not provide coverage. I am travelling with my daughter and grandson who purchased a cruise , flight and hotel stay for me to join them . Can she insure all 3 of us or do I need to insure myself when expenses have been paid by her ? If you live in the same state and travel on the same dates, you can all be listed on the same policy together with most providers. If you live in different states or travel on different dates, you would need separate policies. Each traveler would insure their portion of the total trip cost on their policy, even if one person is paying for all of the travel arrangements. To purchase a policy, do I enter my age on the first day of the cruise, or at the time I purchase trip protection? When filling out the quote form, we ask to please list the traveler's age as of the date you are obtaining the quote, not the age you will be at the time of the trip. I already booked a condo for March 24-31 and paid in full. Can I get coverage for just that portion or is it too late? WE are driving, so no flights involved. WE just put a deposit down today on a cruise that will not happen until October 2019. Because the price was very good, the deposit was almost the entire cost of the cruise. However, we will not be purchasing flights until probably this time next year. I would like to purchase insurance now, but how do I do that when i do not know the cost of the flights yet? Can I add them later and pay the additional cost? Yes. You can insure what you have paid for to date, and once you make subsequent payments towards the trip, you can contact us and update your existing policy accordingly, as long as you contact us prior to departure. Which costs should I include in my total trip price? Everything I expect to spend or only costs paid in advance prior to the trip start? For example, should I include hotel and transfer costs that I will pay upon arrival? Thank you. You can insure all non-refundable travel arrangements that are paid for prior to departure (prepaid) except the cost of your own time share or the cost to obtain a visa or passport. If you are paying for travel arrangements once you are already on your trip, that wouldn't be insurable. If a flight delay causes us to miss our cruise ship departure how will the insurance help us at that time? For this concern, you would need a policy that includes "Missed Connection" benefits. This benefit typically covers the additional transportation expenses incurred to catch up to the departed cruise or tour, and also reimburses the unused portion of the trip that you missed out on because of the delay. Please click on the Travel Delay benefit when viewing quotes to find details regarding Missed Connection. What if you have an emergency medical situation where you're unable to travel or require hospitalization beyond the scheduled return date? Is your coverage extended? The number one covered reason for Trip Cancellation and Trip Interruption is the unforeseen illness or injury of you or a traveling companion that deems you unfit to travel, by order of a licensed physician; or the unforeseen hospitalization or death of a family member. To see all of the covered reasons to cancel or interrupt your trip, please click on the dollar amount that appears under the words "Trip Cancellation" when viewing a quote. Most policies state that coverage will extend if you are delayed or hospitalized for a covered reason. Please check "when coverage ends" in the policy certificate for this information. Can I wait until the day before the trip to buy travel insurance? i will be flying from philadelphia to Salt Lake City, and returning from Salt Lake City to Philadelphia. I am using a frequent flyer. .....Is the flight covered in my trip insurance? Do I add the cost to my total amount, and if so, what do I use. Prices are different for refundable and non-refundable. ....Lost baggage covered? ....Anything else covered with respect to the flight? You are able to insure all prepaid non-refundable travel arrangements including the taxes and fees you would pay to redeem the miles or points. Most policies will cover the re-deposit fee up to a specified amount listed in the policy certificate if you had to cancel your trip and re-deposit the miles or points back in to your account. 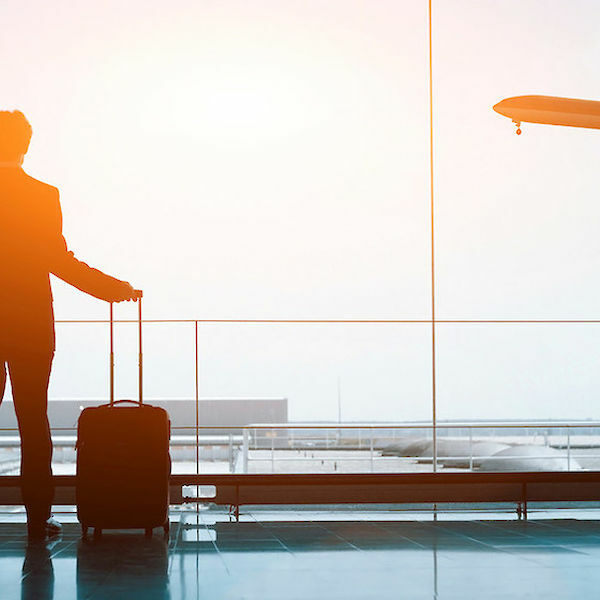 The comprehensive plans that offer Trip Cancellation coverage also include coverage for trip delay, as well as baggage loss and delay coverage. We are planning a family reunion, with 8 relatives meeting up in New York State, but coming from MA, TX, and FL. How can I best insure this trip? Are we all considered traveling companions if we come from different locations? Do "traveling companions" need to be on the same policy, if we need to cancel because one member of the family is ill? We are renting a house together and sharing the costs. Since you all reside in separate states, you would need to purchase separate policies. You do not have to be listed on the same policy together to be considered Travel Companions. Please check the definition of Travel Companion in the policy certificate to get a better idea of how that is defined. I paid for our cruise in full. Is it too late for me get travel insurance? For the resident address, you would want to list the traveler's information, but for the billing address, you can list your information if you are purchasing it for someone else. We have a medicare part F insurance coverage. What do you recommend for this situation??? Please fill out the quote form with your trip details and once you arrive on the results page, please view the plans under the medical tab. Our single trip medical plans provide both medical and medical evacuation coverage when traveling outside of your home country. We paid to the Japan's tour company for a part of our trip to Japan (50%) by a money transfer through the bank, the rest 50% we have to pay upon arrival in cash. We don't have any money trace besides our receipt from the tour operator 1) Will this receipt work for travel insurance purposes? 2) Will travel insurance cover our cost if lets say tour operator is out of business? 3)Does it cover our money if any natural events in Japan? 4) How do we prove to travel insurance company our payments in cash? 5) Is tour operator receipt considered a document? You can only insure prepaid non-refundable travel arrangements. You cannot insure arrangements that you are paying for once you arrive at your destination. You will need documentation proving your trip cost, if you do not have some sort of documentation, your claim will most likely be denied. Most of our policies do offer coverage for an unforeseen Financial Default of a travel supplier, however some policies may require you to purchase within a certain time frame from the initial trip payment date in order to qualify for this benefit. What is considered a "pre-existng medical condition? If a person has been found to have an arrythmia, but formal testing has not commenced, would that constitute a pre-existing medical condition? If we put a deposit down October 31, 2016, and the trip was fully paid in January, can we purchase a trip cancellation and medical costs insurance policy that would cover whatever we need? I made my first trip payment in March 2016. The trip is not until May 2017. I have not purchased trip insurance yet. Is it too late? Should I purchase a policy for each trip, or can I purchase it to cover multiple planned trips? 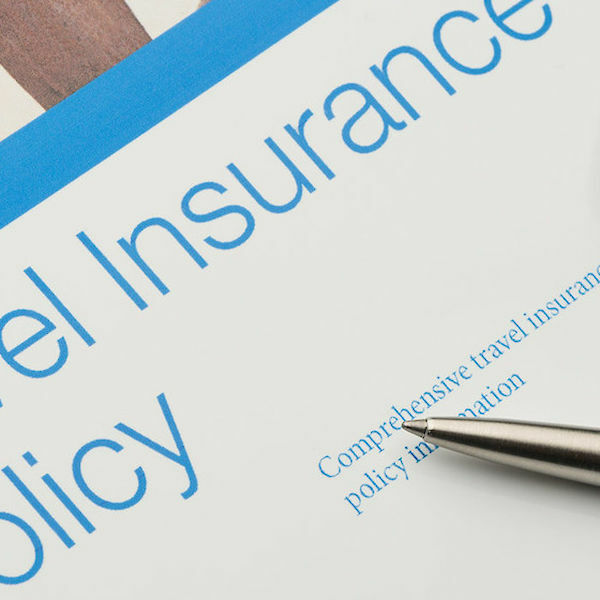 If you are interested in travel protection benefits such as Trip Cancellation and Trip Interruption, you would need to purchase a comprehensive policy for each trip you have planned. If you are only interested in medical coverage for trips outside of your home country, you can purchase a Multi-Trip Medical plan to cover multiple trips throughout the year. The number one covered reason for Trip Cancellation and Trip Interruption is the unforeseen sickness, accidental injury or death to you, a traveling companion or a family member. To see all of the covered reasons to cancel or interrupt your trip, please click on the dollar amount that appears NEXT to the words "Trip Cancellation" when viewing a quote. The easiest way to help you narrow the search is to call us at 800-487-4722 and we can help find the best plans for your particular concerns. We have just booked our condo and paid the down payment for our trip to Grand Cayman 6 months from now, but we want to wait to purchase our airline tickets, hoping they will go down in price. I want to get the "cancel for any reason" coverage, but how can we estimate our trip cost without knowing how much are flights will be? Can we wait to purchase the coverage until we book our flights? Cancel For Any Reason requires you purchase your policy within the specified time frame (Policy Specific, 10/14/21 days) of your INITIAL trip payment. You should not guess on other expenses, because if you over insure you will not receive a refund for over payment of premiums. Once you book your airfare, you would need to call us within the 10/14/21 days (Policy Specific) of booking the airfare to add it to your policy, pay any additional premium due, and you would keep your optional coverage, Cancel For Any Reason.